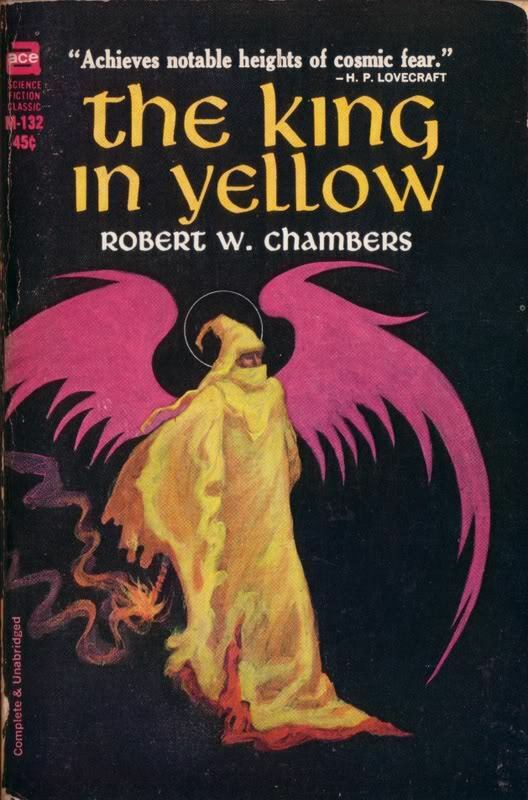 Hallucinatory spirals, talk of “black stars” rising in the sky, dead women trussed up like ancient horned gods and tattooed with mysterious symbols, all supposedly in reference to Robert W. Chambers’s fairly obscure weird fiction classic The King in Yellow? Damn, True Detective, you’ve given me a lot to absorb. Where is the show going with its recently clarified Lovecraftian ties? Does it even really matter, when the ride is this great? The most satisfying part of a mystery is rarely its resolution. Sustained anticipation is much of the thrill. Like earlier TV mysteries Twin Peaks, The X-Files, and Lost, True Detective is a show with its own internal mythology, which taunts both the protagonists and viewers with signs just beyond our comprehension. When some bits of information are guaranteed to be important later, every single bit of information feels like a potential clue. Attempting to read a show scene by scene and pluck out exactly what will prove crucial from a galaxy of visual and verbal details can feel absolutely maddening. A great dark mystery show can inspire the faithful to drop everything else in their life to spend all their time examining the current available information and speculating on the future. The best shows are all-consuming in a life-affirming way, like a book you cannot put down. 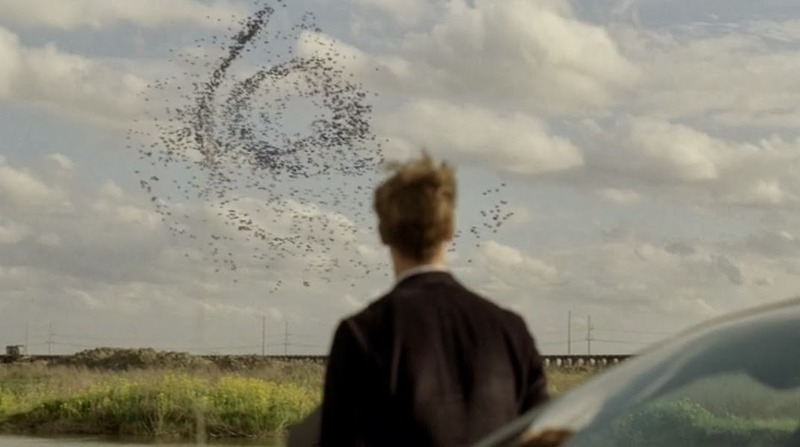 True Detective has dropped several potentially meaningful references to The King in Yellow, a book of short stories organized around a fictional play of the same name. The play is only excerpted in brief in the book, but it is described as being a trigger for insanity, with a standard first act that leads into a second act that unhinges viewers into psychosis. Despite everyone in the world of the book knowing that reading or watching The King in Yellow will make you go crazy, the characters keep giving in to temptation and curiosity, unable to resist the pull of finding out what the second act will hold. The idea of a piece of media that literally ruins your life has persisted; David Foster Wallace’s Infinite Jest centers on a film called “the Entertainment” that makes viewers unable to do anything but keep watching it until they die, and Neal Stephenson’s cyberpunk classic Snow Crash concerns a viral opium-like drug that dooms its downloaders. As a concept, it feels extremely relevant to the age of binge-watching, when networks and showrunners are banking on our collective desire to lose hours of our life absorbed in something more exciting than real life. 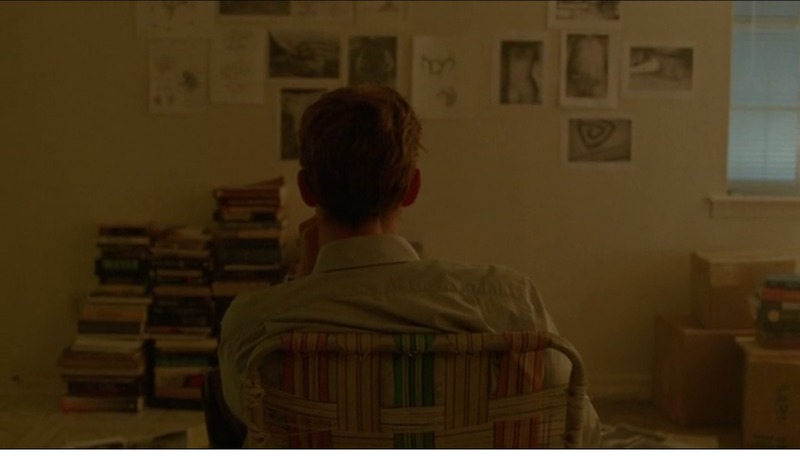 Because True Detective is a weekly show, that leaves six days between episodes to rewatch the available episodes and read other people’s opinions on Twitter and in blog posts, while keeping 10 other tabs open to research the otherworldly cursed city of Carcosa. True Detective instantly provoked obsessive fixation in viewers, parallel with Marty and Rust’s inability (or unwillingness) to control their own obsessions. True Detective teases that we might all be getting addicted to a show that is going to somehow push us over the edge. You can spend endless amounts of time pondering True Detective’s more concrete questions, let alone the existential ones. Are the wooden triangles strewn around the sites of the ritualistic murders pagan symbols, bird traps, or neither? Given creator Nic Pizzolatto’s professed affection for weird fiction, were Reggie Ledoux’s gas mask and the reference to a “green-eared spaghetti monster” meant to invoke Cthulhu, the giant octopus monster that signals cosmic doom in the work of seminal horror writer H.P. Lovecraft? Is the mystery even going to get solved? 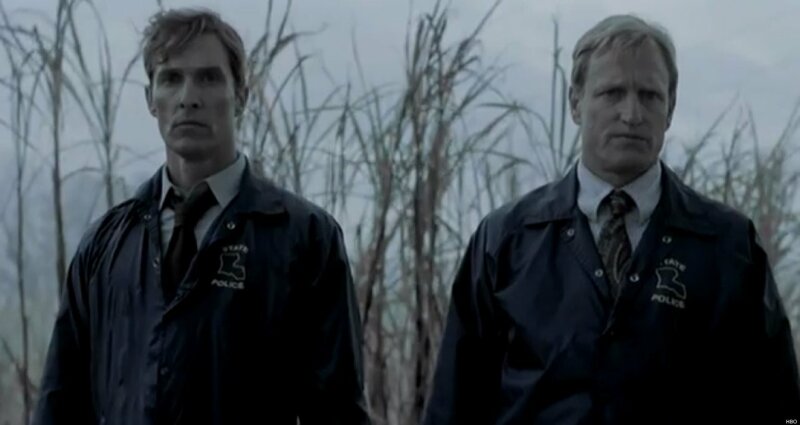 True Detective’s flashback structure accentuates the gaps in our knowledge. Everything we know is gleaned from flashbacks and interrogations, but there’s no guarantee that future information won’t flip our perspective. Hell, there’s no guarantee that Rust and Marty’s flashbacks are accurate. After all, if we can see Rust’s subjective hallucination of birds assembling into a spiral in the sky, who’s to say we’re not seeing other events from his subjective perspective too? This kind of theorizing, not baseless but impossible to prove conclusively, will make you feel like True Detective’s detectives. Maybe the show’s obsessions with madness, reality, and truth really are contagious. 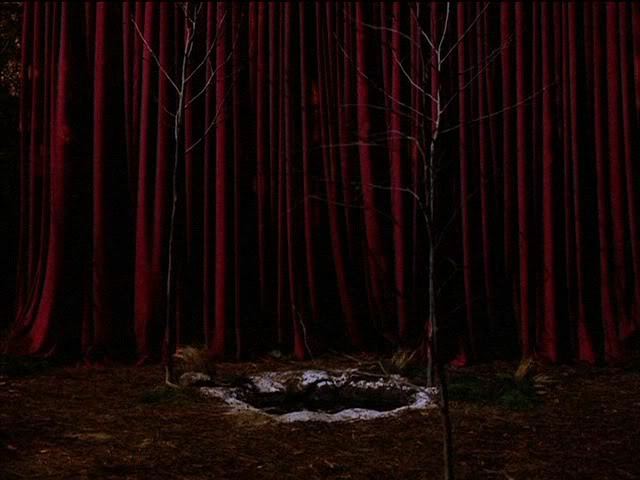 True Detective’s closest relative is Twin Peaks, which mined similarly nocturnal depths. Both shows espouse mythologies that feel extremely personal to the creators but also eerily universal, tapping into the same brain waves as paradoxical sleep. From this subterranean level, we get an unusually lucid view of pervasive Jungian archetypes: family dynamics, virgin/whore issues, the battle between body and mind. Rust and Marty represent two poles of maleness on one swampy plane, an anima and animus. But neither one is locked into type, and Rust is especially facile with shifting selves to serve his situation. He talks about his lack of belief in a self from the very first episode. Rust’s cosmic rambling could come off as pretentious were it not balanced by the biting straightforwardness of Woody Harrelson as Marty, who finds Rust’s nihilism tiresome and very much lets him know. Matthew McConaughey’s performance plays just the right chord, toggling between cynical acid-head and secret prophet. His light touch with Rust makes even the show’s heaviest philosophical medicine go down like Dr. Pepper in a Big Hug Mug. It doesn’t take long before Rust’s LSD-addled mind-set rubs off and everything seems connected. Suddenly you’re no longer just reading about True Detective. You’re reading about Fibonacci spirals in nature and the satanic ritual abuse moral panic of the 1980s. You’re listening to The Division Bell. The show leaks into your daily consciousness during the times you’re not watching it. It starts giving new shape and meaning to the outside world. It seeps into your subconscious, and you hear multiple reports from friends about nightmares that incorporated elements or characters from True Detective. But while a deep dig into the show’s mythology turns up lots of interesting worms, it’s not necessary to enjoy it. And even the most avid conspiracists acknowledge that their own private theories may likely turn out to be bunk. The theorizing is fun, but not as fun as the show, which offsets its metaphysical high-mindedness with fleshly punches to the gut. Suspense also has a strong sexual component. Director Cary Fukunaga staged the six-minute shot that closed out the fourth episode as a display of stamina, nearly doubling the length of Orson Welles’s iconic opening shot from True Detective’s hard-boiled forefather Touch of Evil. Nothing demonstrates the scope of a director’s control like a long take. It’s this kind of ambition that makes True Detective such transcendent television, and so addictive. Waiting for the next episode feels like waiting to see an incredibly intense crush you get to see only once a week. Fukunaga and Pizzolatto have an avatar in the show’s villain. Whoever the killer nicknamed The Yellow King might be, he is always two steps ahead of our antiheroes, leaving bread crumbs in the form of inscrutable symbols that beg for interpretation (and overinterpretation). Pizzolatto has been open about the horror roots of his twisty noir, naming writers like Laird Barron, Simon Strantzas, and Thomas Ligotti as influences on his work. The show straddles several genres and answers to none; it’s a spiritual noir, a buddy cop show, a murder mystery, philosophical horror, and Southern Gothic. It bends the branches of its more familiar tropes until they are as gnarled and knotted as an old oak’s. But like McConaughey, True Detective somehow makes even the most high-wire stunts look easy. The show’s supernatural trimmings seem to be allegorical, and I’d be very surprised if any monsters showed up other than the human variety, who frankly are already scary enough. 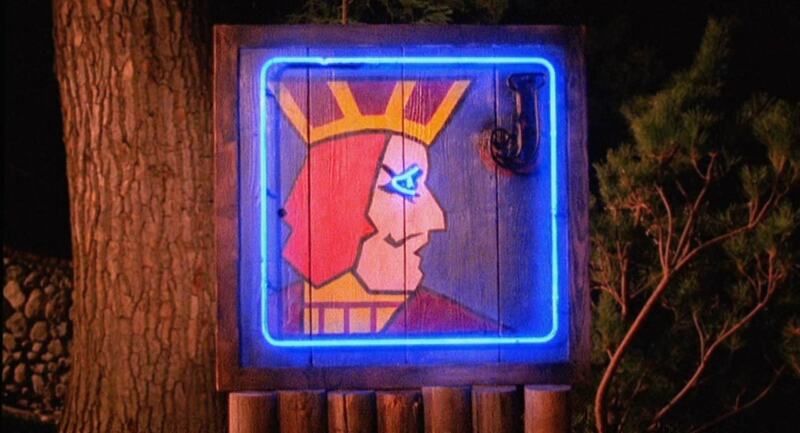 One of the biggest issues that plagued Twin Peaks, Lost, and The X-Files was that they ran for multiple seasons. They all set up their mythologies and mysteries to pay off big, and the longer they ran the larger that payoff was expected to be. 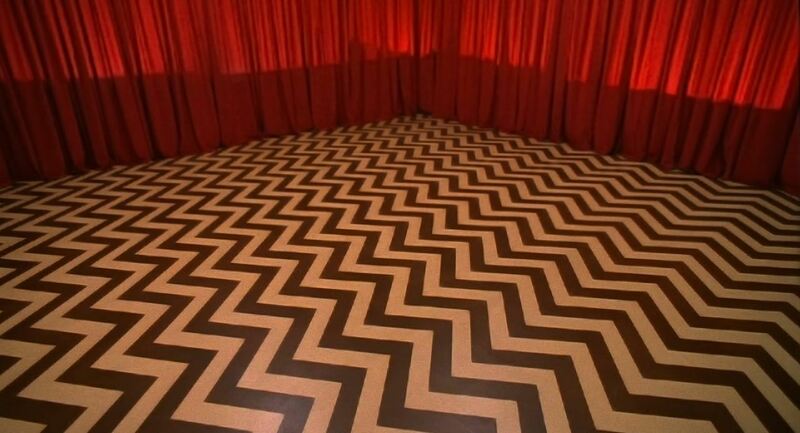 Twin Peaks fumbled in its second season after solving the initial mystery. Lost gave viewers too many red herrings, then incited their wrath with a disappointingly magical ending. By the time The X-Files fully explained its unbelievably complicated mythology, the audience was no longer as rapt as they’d once been. Maybe just answering the questions at all is bound to be disappointing. When the answers do come, the pleasure of wondering what they will be comes to a halt. And all those hours spent keeping track of fictional numbers, events, and characters start to feel like a fever dream. What True Detective has on its side that those other shows didn’t is its format. It’s an anthology show, akin to a miniseries. We have no idea whether the next season will also be about unspeakable cosmic horror and swamp murders. Five episodes in, True Detective’s big questions still remain open. But three episodes from now, we’ll know everything there is to know. We want answers more than anything, but we also never want this season to end. Even if True Detective does drive us all crazy with its second act, I’d rewatch it in a heartbeat. I keep getting older, and time is a flat circle. See y’all in Carcosa!